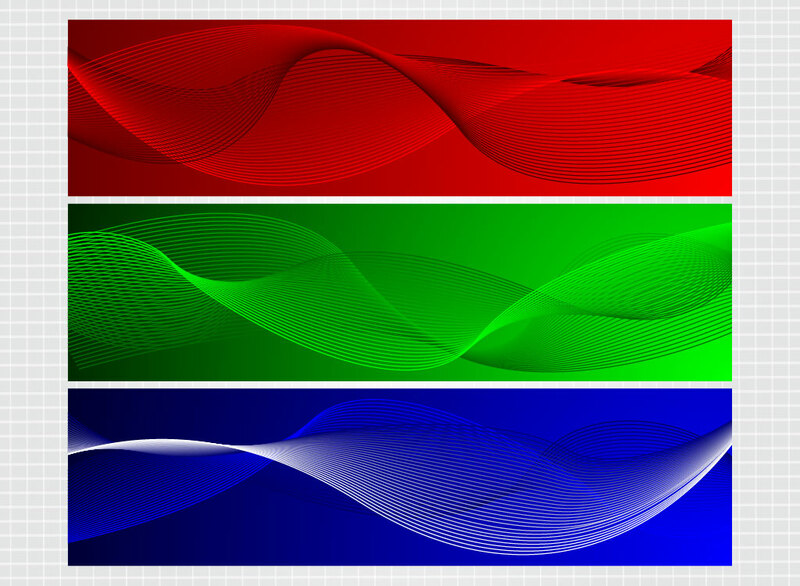 Three bright colored banner template with gradients and twisted wire frame ribbons. Red, green and blue to choose from. Cool templates to kick start your website or blog design. Add a logo and tag line and your header is done. Download as AI and PDF for your designs. Tags: Banner, Colorful, Gradient, Header, Lines, Ribbon, Template, Wire Frame.